Thinking about upgrading but need to get rid of your current set of wheels? Sure you can sell it on your own but there’s also an easier way – just bring it to Hoselton in East Rochester. We’ll evaluate your vehicle, give you a fair offer and help you find your next dream car. While our Vehicle Upgrade Program has only officially been around for a few years, we’ve been buying cars and helping customers upgrade for as long as we can remember. 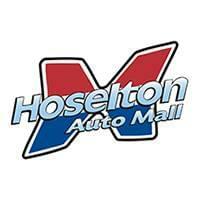 When the time is right to consider a new vehicle, consider Hoselton. We have over 2,000 vehicles for you to choose from. Whether it’s a new Chevy, Nissan or Toyota or a new-to-you pre-owned vehicle — we have options at every price point for every buyer. So you’re ready to upgrade. Now what? We’ve put together some FAQs to help you through the process. Q: I’m ready to upgrade to a new vehicle. What do I do first? A: Bring your vehicle to Hoselton to have your vehicle evaluated. We’re conveniently located at the corner of Marsh and Fairport Roads in East Rochester, just off I-490. Once you get here – and depending on what type of vehicle you want to upgrade to – you can visit any one of our four dealerships: Hoselton Nissan, Hoselton Toyota, Hoselton Chevrolet or our Pre-Owned Super Center. A: No appointment necessary! Just stop down during regular business hours and we’ll get you right in. Q: How long will the appraisal take? A: The evaluation and appraisal takes approximately 15 to 20 minutes. While one of our specialists is evaluating your vehicle and determining a fair value, one of our sales associates will go over your vehicle upgrade options with you and show you any vehicles you want to check out or test drive. If you already know what you’d like, sit back and relax and enjoy some refreshments and snacks – all of our dealerships are fully stocked. We also have free Wifi ? Q: What if I can’t get to Hoselton Auto Mall due to my schedule? A: No time, no problem! We’ll come to you! Give us a call at 585.586.7373 to set up a time to have someone come to your home or office to appraise your vehicle. Q: Is there any wiggle room on the offer I receive? A: We’ve been in business for nearly 100 years and one of the reasons our customers keep coming back to us is our fair and consistent pricing – whether your buying or selling. We strive to give you a competitive offer and make the process quick, painless and pressure-free. We want you to enjoy your experience at Hoselton and come back to us when you’re in the market. Q: What if another dealer will give me more for my vehicle? A: Simply put — we’ll meet, if not beat, any written offer you receive. Q: Do I have to upgrade to a new vehicle or can it be a pre-owned vehicle? A: You can do either — a new vehicle or pre-owned. We have dozens of options in one convenient location. You can choose from new Nissans, Toyotas or Chevrolets or if you are looking for a pre-pre-owned vehicle, we have hundreds for you to pick from. The great thing about our Vehicle Upgrade Program, is that you can potentially upgrade to a newer car with better features for the same or lower payment than you are currently making! Q: Will my monthly payments be the same as what I’m paying now? A: Well, if you’re upgrading from a Corolla to a Corvette most likely not, but when comparing to a newer, similar model we can usually keep you at or below your current payment! If you’re still looking for more information about Hoselton’s Vehicle Upgrade Program, please give us a call at 585-586.7373. We’d be happy to answer any questions you may have. What if i have a current lease with you and i want to upgrade from a Malibu to a Silverado?